CDR FoodLab for Egg products was last modified: March 6th, 2019 by CDR s.r.l. What is the CDR FoodLab® System for egg products? CDR FoodLab® is a self-contained apparatus complete with everything needed to perform quality controls of egg products, either in a laboratory or straight on the production line. 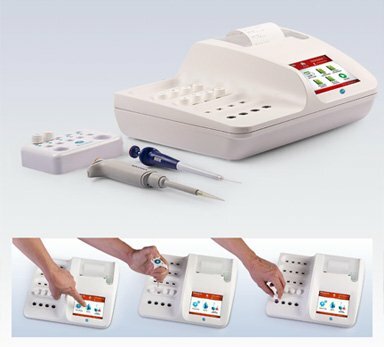 An analyzer based on photometric technology, available in the standard or Junior version, equipped with state-of-the-art LED emitters, reading cells (4) and 37°C thermostated incubation cells (16).  Pipettes allow for the collection of the correct volume of sample. 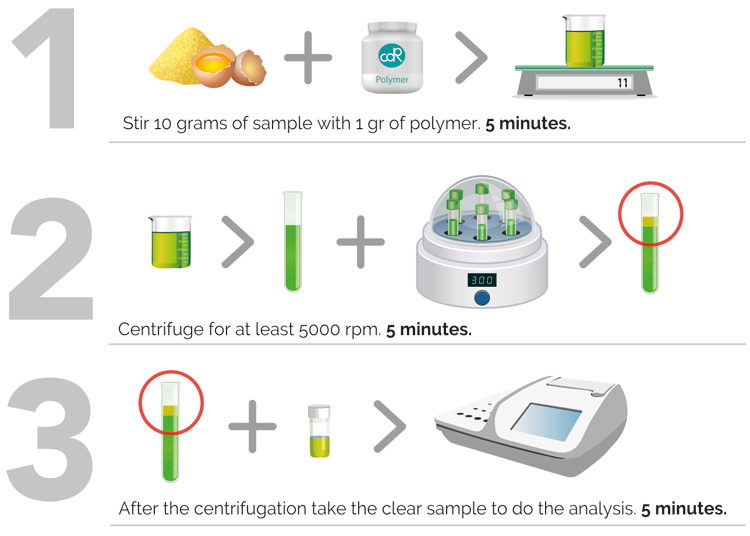 With CDR FoodLab® it is possible to test sixteen samples at the same time and constantly monitor the production process, obtaining exact and accurate results in just a few minutes. The Multitasking Mode allows to manage the determination of several analytical parameters at the same time. It allows the system to process one analysis and to start another one at the same time, with the possibility to go back to the first one at any moment. These features allow performing several analyses at the same time on the same sample or sixteen different assays for the same parameter on a batch of different samples. All of this in an simple and fast way. 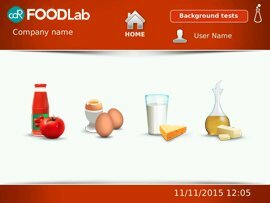 The CDR FoodLab® chemical analysis system to test eggs and egg products can be configured to perform analyses on any type of vegetable and animal fats and oils, milk and dairy products, tomato derivatives, and vegetable purées in general.